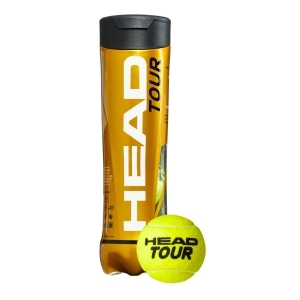 Head tennis balls are the official balls of the ATP World Tour and many other tournaments on the circuit. 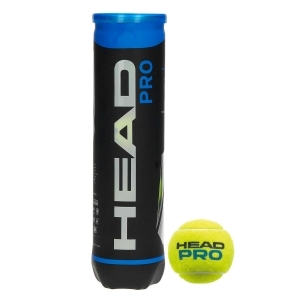 This Head tennis ball, in the unmistakable golden box with snap-on cap, is much loved by professional tennis players: it guarantees an excellent rebound, a good rotation of shots and a long duration. 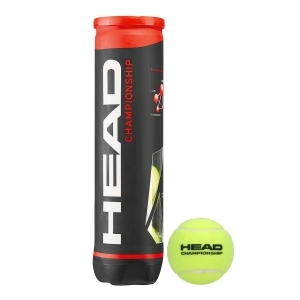 All Head balls are always available in the online tennis shop and ready to join you on the pitch! Whatever your level and playing field, choosing Head tennis balls will make sure you always play your best. 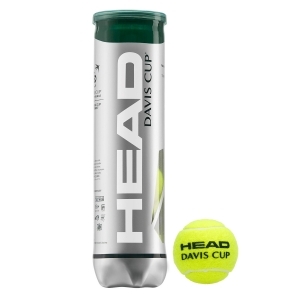 On Mister Tennis you can find Head balls suitable for all surfaces, so-called all court, and specific models for clay. If you take your matches seriously and you want to ensure the maximum feeling of play, choose a model of the "competition" category, these are balls characterized by high performance. We at Mister Tennis know that you want to receive your tennis balls quickly. For this reason, our preparation and delivery services are fast: all models of balls are always available in our storage and we promise to deliver them at the speed of light, we like to surprise you! Try us, our couriers deliver in Europe in 3-4 days.